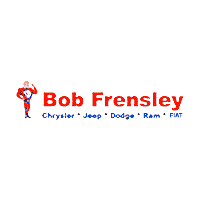 Proudly serving Nashville, Tennessee, Bob Frensley Chrysler Jeep Dodge Ram FIAT can help you get into the perfect new car or used vehicle for your budget. Think you need perfect credit to get behind the wheel? Our friendly finance professionals specialize in helping people with shaky credit get into the right car, truck, or SUV for their families. Furthermore, we’re able to offer fast approvals and low APRs because of our extensive auto financing provider network. Last but not least, we’ll respect your time to get you on the road as fast as possible without all the usual hassles. So whether you live in Madison, TN or Hendersonville, TN, give us a call now or come visit our auto dealership near Nashville, TN today.